Narelle Sissons is an award-winning theater designer who has worked on productions at many of the major resident theaters and operas in the United States and Europe. Her Broadway credits include: All My Son’s for The Roundabout Theatre Company. Off Broadway credits include the original production of Pulitzer Prize-winning play, How I Learned To Drive at The Century Centre. Also original productions of Stop Kiss, In The Blood, Kit Marlowe, Dutch Heart of Man, Little Flower of East Orange, and Julius Caesar (Delacorte) at the Joseph Papp Public Theatre in NYC. The original productions of No Child for Epic Theatre Ensemble and Jump Cut for The Women’s Project. Sissons has designed many productions for New York theaters such as Classic Stage Company, Playwrights Horizons, Primary Stages, New York Theatre Workshop, The Acting Company and SoHo Rep amongst others. For LAByrinth Sissons has designed: Our Lady of 121st Street at Union Square Theatre and Jesus Hopped the A Train’ in New York City, the Edinburgh Festival, The Donmar Warehouse and West End in London, directed by Philip Seymour Hoffman. 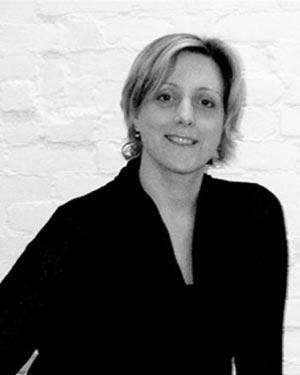 She designed Mabou Mines Doll House, directed by Lee Breuer at St Anne’s Warehouse, Spoleto Festival USA and the world tour 2006-2009. Also recently with Lee Breuer Two Little Indians at HERE in NYC and the new opera Choreophea in Athens, Greece 2007. The Syringa Tree for Vienna’s English Theatre, Austria and Frankfurt’s English Theatre, Germany. She also designed sets and costumes for The London Fringe from 1986-1991. Regional theatre productions include designs for: The Mark Taper Forum, Seattle Repertory Theatre, ACT, Laguna Playhouse, Steppenwolf Theatre Company, The Shakespeare Theatre DC, St. Louis Repertory Theatre, Cincinnati Playhouse in The Park, Pittsburgh Public Theatre, City Theatre, Pittsburgh Irish and Classical Theatre, Trinity Repertory Theatre, Cleveland Playhouse and The Mc Carter Theatre. Sissons has collaborated with notable directors such as: Philip Seymour Hoffman, Lee Breuer, Moises Kaufman, Bart Sher, Mladen Kiselov and Leigh Silverman. Sissons also has an active interest in working on new plays and is a participant in LABryinth’s summer intensives, directing readings and conducting design workshops for directors and actors. The focus of this work is in visual story telling and finding ways to express ideas through the use of space, objects and other forms of media. Awards and nominations include a Drama Desk, American Theatre Wing, two Helen Hayes, and Kevin Kline Award nominations. She is a Back Stage West Award and Leon Rabin Award winner. She was an exhibitor at the 2007 Prague Quadrennial. Sissons is a graduate of both Central St Martins and The Royal College of Art in London. She is a member of United Scenic Artists local 829, a Company member of LAByrinth Theatre, and a Usual Suspect with New York Theatre Workshop. Her work can be seen at: narellesissons.design.